Combining all the delicious chai tea flavors and ingredients, Chai Tea Concentrate makes preparing and serving a whole lot easier. Pour over ice for a refreshing iced latte, or heat it up for a cozy winter drink customers will love! 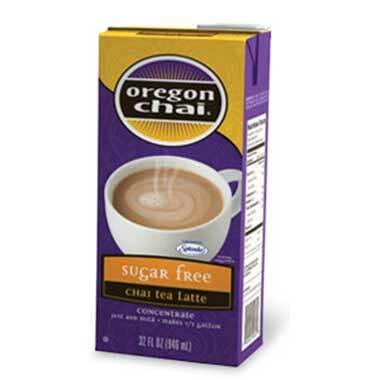 Oregon Chai OC12632 Sugar Free Chai Tea Concentrate - 32 oz.